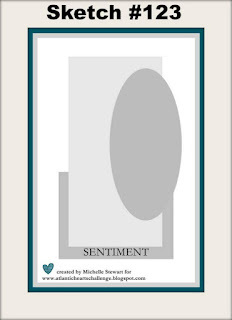 Welcome to Sketch #123 at Atlantic Hearts Sketch Challenge! 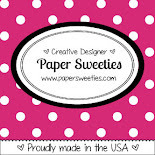 And one more Happy Birthday Month wish for Paper Sweeties and Debbie Marcinkiewicz! I used the Zoe papers again and so many cuts from the new Close to My Heart Cricut Cartridge, Artistry. I also used Emma from Paper Sweeties and the little dog is from the new Operation Smile stamp set, Animal Greetings available September 1st. Don't forget to stop by both of these websites! 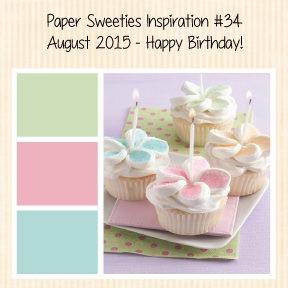 Paper Sweeties August challenge is done today at noon, but there will be a new challenge for September! 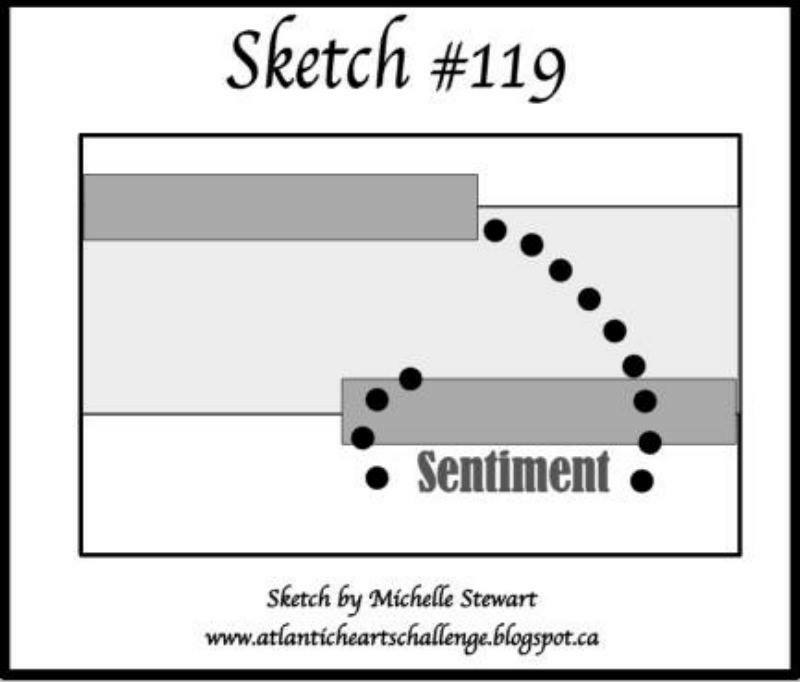 And you can play along with Sketch #123 at Atlantic Hearts until next Sunday! And check out all of the great artwork by the Design Teams and Players as well. It's been so long since I really did any scrapbook pages and it's been a lot of fun lately especially because I've been pulling out some very old pictures from the 90's when my oldest was just a toddler. I used Zoe paper and complements on this one. 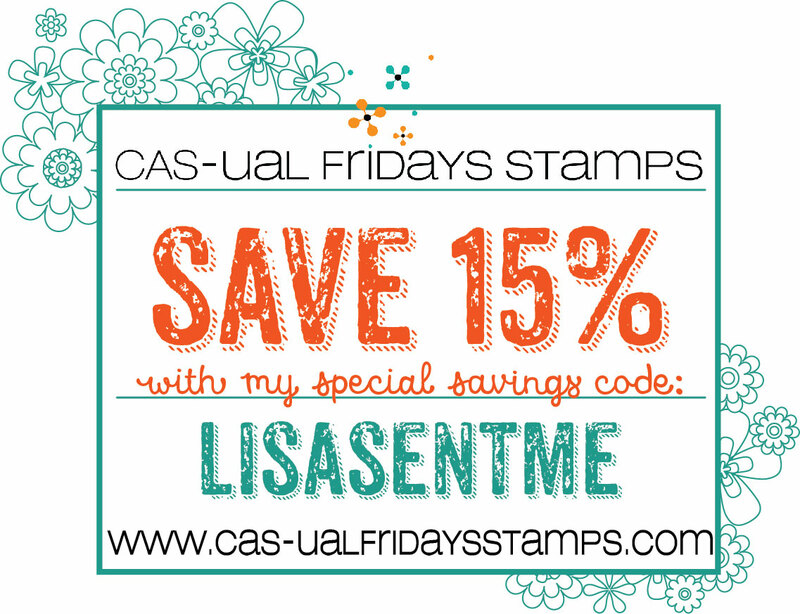 The clock is from Hats Off; the splotches are from the new stamp set, Ink Blot, available in just a few days! (Sneak Peak) The moon and stars are from Artistry; the fence is from Southwest and the lambs are from .. I think Country Life. I had fun using a new Tim Holtz stencil with texture paste to create the woodgrain look and then swiped over the center of the page with chalk ink. Lots of different elements on this one, that I think came together pretty well.. I like looking at it anyway.. This was the perfect layout for this one random pic I'd taken while we were getting Corey ready for bed. It really was my favorite time of the day. After all the hub bub and craziness... a soothing bathtime, brushing teeth, his cute little combed hair and fresh face, and story time. What I wouldn't give for just one of those nights again... don't rush the little ones growing up... enjoy these seemingly uneventful moments in their lives because they really are the best ones. Time for another Atlantic Hearts Sketch Challenge and this is Sketch #122. When I saw this sketch I thought it would be perfect for a layout. I had come across these pics a couple weeks ago when I made my last scrapbook page and had them sitting on my table knowing they would be my next layout. When Corey was little he was always so playful and goofy... kind of like he is now...lol! I used Zoe again for this boy layout. I also used the Zoe complements for the little arrow sentiment, the Tee Hee and the Hilarious words. I used Artistry for the fantastic hexagon background piece and the Little Man title. The hat was from Nate's ABCs Cricut Cartridge. The acrylic badge came from the Zoe assortment. And one of my favorite embellishments will be available in this awesome green color... love that shimmer trim! 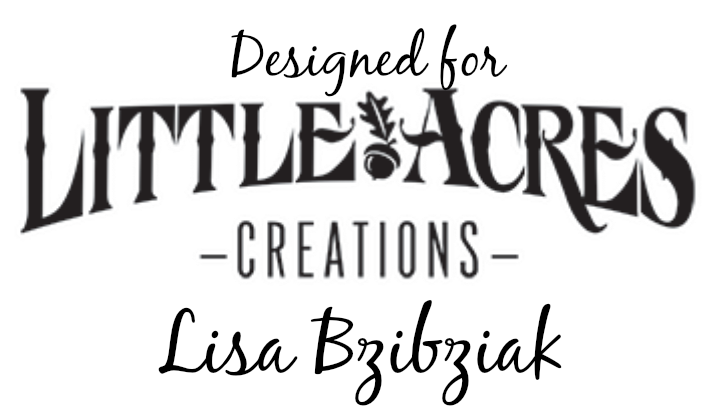 Thanks for stopping by and be sure to check out Atlantic Hearts blog this week and play along while you're at it! Well, I guess the dreamcatcher next to my bed is working because I planned most of this one out in the middle of the night last night and it actually came out as I saw it...lol! Thanks for stopping by and don't forget to come back Monday! So... not much I do in my craft room is quick..lol... but aside from deciding what I was going to do, this card went together pretty easily. The gold striped card and the heart were from a new set of Picture My Life cards available September 1st. You know I've been loving pink and gold for some time now and apparently that isn't going to go away anytime soon. The feathers are from Petaloo; I embossed the sentiment from the Documenting Moments stamp set. I cut a simple heart shape out of my favorite floral card in the PML set. (I actually cut as many as I could from the little 3x4 card and I just might use some more this afternoon). This Beautiful You PML set is right up my alley.. lots of gold, black, white and pink with some cute trendy sayings and graphics. I knew I'd be using it to make cards when I ordered it. These cards are good for way more than scrapbooking... although they are great for that too! Don't forget to come back Monday to see the next Atlantic Hearts Sketch, but don't forget you still have until tomorrow to play along with this week's! 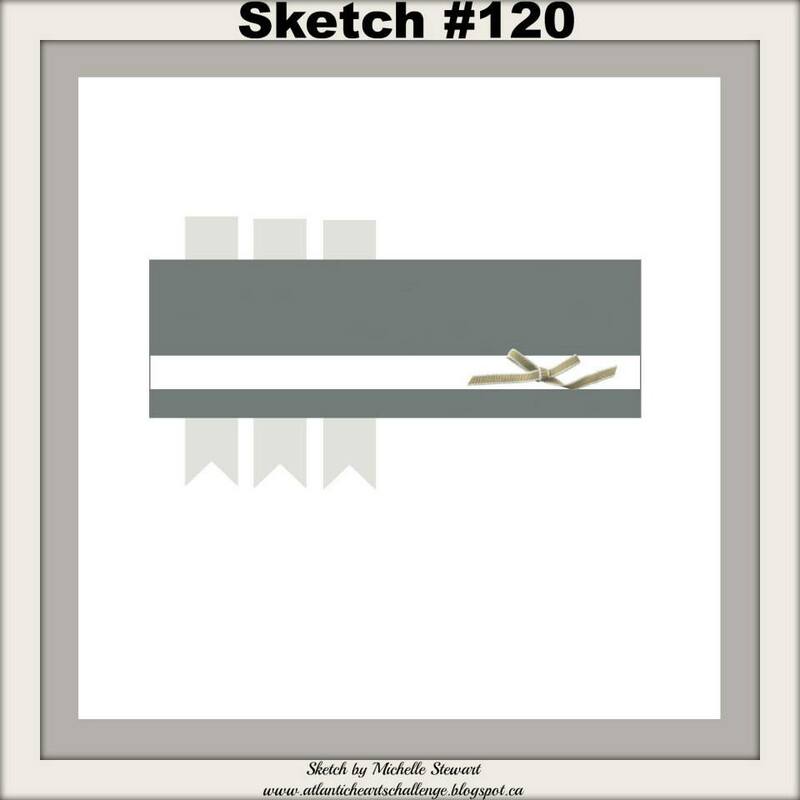 Welcome to Sketch #121 for Atlantic Hearts! So, last week I promised you that Zoe could be used to make a very masculine project and here it is... There are quite a few new products here alongside some old favorites. The paper, is Zoe which is new and available now; the arrow cut is from Artistry, the new CTMH Cricut Cartridge, also available now; the sentiment is from the August Stamp of the Month, Framed; the silver foil tape and grey enamel gems are available September 1st (SNEAK PEEK! ); The very cool splotches of silver embossing was done using the new stamp set Ink Blot also available September 1st (ALSO SNEAK PEEK! ); I used the Chevron embossing folder, the frost blue thick twine, black enamel stars. So much fun... be sure to get your old favorites that may be retiring at the end of this month, and come back in September to get some new old favorites! 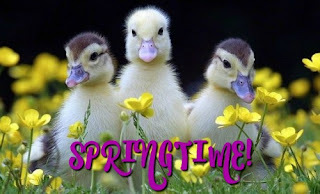 Thanks for stopping by and don't forget to hop on over to the Atlantic Hearts Blog and check out some more great artwork! 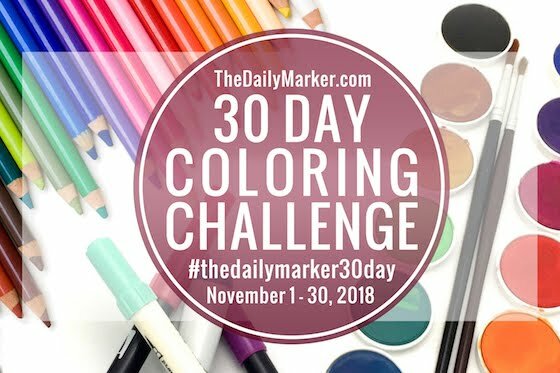 Thanks for stopping by and don't forget to check out Paper Sweeties celebration and play along... the challenge goes until the end of the month... you never know... I might have another one in me...lol! So... you now CTMH is my very favorite, but when I saw a beautiful card made by fellow Design Team member, Alyson Mayo I had to get the stamp. 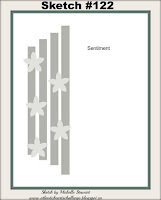 This is Blended Bloom by Stampin' Up and it is so pretty.... I got the idea to stamp and emboss the flower in white and use the watercolors from one of the design team members from Paper Sweeties and a beautiful project she made...and of course now I'm not sure which it was, but if I find it I will link it up here. I found her! Check out Pieces by Emily to see the card that inspired me to emboss in white and watercolor my stamped image... and don't stop there.. her blog has a very cool shaker card on it as well. Check it out! I got my watercolors from CTMH this week and couldn't wait to play. I'd been doing ok with the re-inkers but so much easier to use my watercolor set and the colors are so beautiful! For the background behind the flower I used the salt technique again... I just love the look of the little pits it leaves in the paint. Paper is Blossom, the leaves are cut from Artistry, the banner and sentiment are from Lifting Spirits and the little sequins of course are from Paper Sweeties. Welcome to Challenge #120 at Atlantic Hearts Sketch Challenge Blog. I had a lot of fun with this one and used the new Zoe paper pack from Close to My Heart. This is one of the new products that is available during the month of August and I love it! The colors make it very versatile. The Sweet sentiment is from Artistry, the Cupcake is from Artiste and I believe the border that I welded onto a rectangle was from one of the CTMH cartridges also, but to be honest... I'm not sure. With Design Space the way it is, I have to remember to make note when I choose my cuts and I don't always do that...lol. I'm also submitting this to the Paper Sweeties August challenge. I used the cute Emma stamp set from Paper Sweeties and the flowers are from a cute little cake set. It's Paper Sweeties' 3rd Birthday this month and there will be extra giveaways. Check them out... it's not a huge product line, but it is definitely a great quality product and you will get some great ideas from the Design Team and participants to the challenge as well. Extra products I used were... the resin roses on the cupcake I purchased from Amazon and are designer nail decorations. The flame on the candles are the gold leaves from CTMH puffies that were in the Spring Seasonal Expressions and so are the butterflies. The sequins are from the Coral CTMH sequin pack as well as the Pixie extra thick twine. I added sprinkles to the cupcake with some stickles I haven't used in forever. I think that pretty much covers everything. Thanks for stopping by! Don't forget to check out all of the great artwork on both blogs! This month Paper Sweeties is celebrating their 3rd Birthday! Appropriately, the inspiration for the challenge is birthday related. 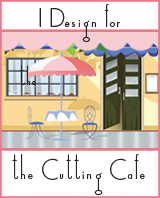 Over at the Heart2Heart Challenge Blog the theme is Birthday Bash for this week. I've had this one floating around in my head for quite some time now. I wasn't quite sure how I was going to have Emma peeking out from behind the cupcake without the back of the card looking like a mess. I won't bother showing it, but I ended up just making an extra cut of the card base in pink and used the back half to cover up the back of the cupcake and candle and stamped an image of Emma with her dress and hat on (just stamped them all on top of each other in a light color and cut the outside of the piece as a whole). This one took quite a bit of paper piecing, but I am happy with the way it turned out. The cupcake is from the CTMH Artbooking cartridge. It was not in the form of a card, so I duplicated the base image, mirror imaged one and welded the two together to form a card. The cute little birthday hat is from one of my old favorite sets What A Hoot (remember my slight owl card obsession last Fall). Sneak Peek Alert! : Check out the Gold Foil Tape and the white bow with gold embossing on it... coming soon in the new CTMH Idea Book that goes live September 1st. But before you get too excited about that, don't forget to get your Brushed paper pack while you can-that one is going away and is only available while supplies last! Thanks for stopping by and don't forget to check out all of the great artwork at both challenges! Get inspired and even play along! I'm sure we all have a birthday coming up that we need to make a card for. So, this really didn't turn out anything like it was in my head at 3am....lol. And although the ribbon looks red, it is really hollyhock.... hard to get the colors right in pictures sometimes. 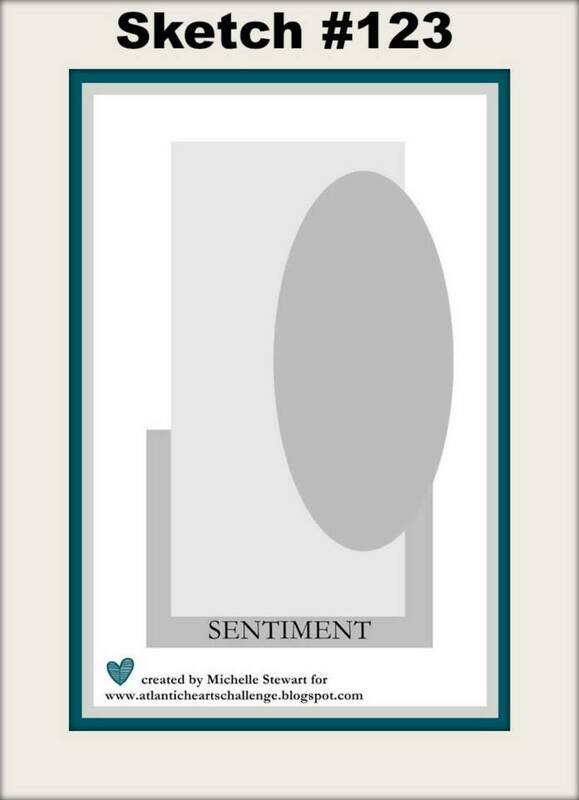 So Close to My Heart has released yet another Cricut cartridge, Artistry. And as I do all of the others, I love it! 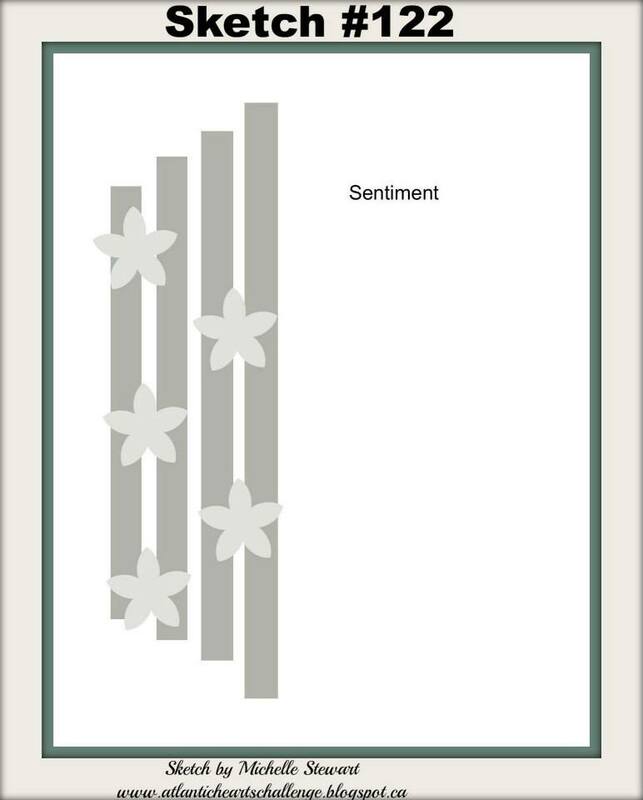 Although I myself loved Artfully Sent and all of it's wonderful interactive cards, many told me they weren't going to buy it because they didn't make cards. It was a very versatile cartridge actually when you factor in Design Space and how you can ungroup items and just cut parts of images and it was definitely a cartridge you can and I did use for scrapbook pages. But if you shied away from it because of that, please do take a look at the new one. There are so many awesome images on this one that are current and in demand... what a great tool for all kinds of papercrafting! On this card, the flower and the little banner that I welded with my Fuse tool were both cut from Artistry. The butterfly is from Artiste (there is one on the Artistry cartridge, but the one on Artiste was what I wanted. The leaves behind the ribbon are also from Artistry. One of my favorite cuts that I am going to use A LOT! The base is watercolored with pink, blue and green (the green got covered up) and then I used the salt technique on it again. I got carried away with my spray pen (the darker blue)...lol... The doily I cut with a die that I have from the Brushed paper. Thanks for stopping by and I just might be posting again this weekend. Working on a card for PaperSweeties birthday celebration. And don't forget to come back Monday for Atlantic Hearts (and another PaperSweeties celebration card). I am working my fingers to the bone for you! 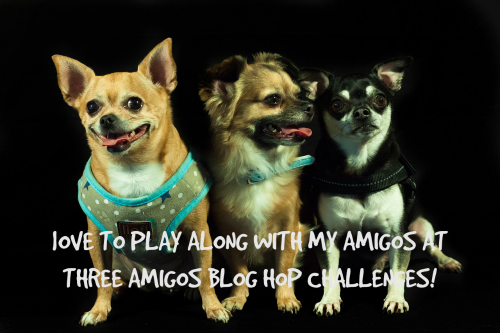 Atlantic Hearts #119 AND Three Amigos Blog Hop! Combining my Atlantic Hearts Sketch along with the Three Amigos Blog Hop! Unheard of! I almost never am able to do this, except what a coincidence that the third of the month (the day of our oh so tiny blog hop) just happens to fall on a Monday (the day each week's sketch goes live on Atlantic Hearts)! It was actually kind of an accident. I was working on my Atlantic Hearts Sketch and I suddenly realized I was using some of my favorite retiring products (which happens to be this month's blog hop theme). So I thought... why not! If you are new to Atlantic Hearts Sketch Challenge Blog, click on the name and go there and check out all the great artwork from previous weeks' challenges from design team members and participants. As early as Monday, you can start seeing submissions to the current week's challenges and on Wednesday the Design Team samples are posted. 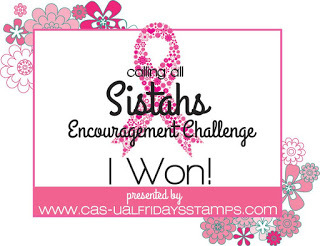 So much fun and if you're in the top 3 you get bragging rights and a cute badge to display on your Blog... check it out! As you can see, some stay true to the sketch and others (guilty) tend to embellish a little more and change it up. I've used the basic sketch, flipped on it's end and added a few things (just a few). I've created this page in one of our My Crush Books which are retiring at the end of this month. This is actually my first page in one of these books. I've had it for over a year!! My plan was to use it as a kind of journal with pics mostly from my phone and random thoughts... or a good place to just create something for one of my favorite pics is all by itself and not big enough for a 12x12 page. These pics I took on my phone one day while hanging out in my parents back yard with my niece, Isabelle. I loved the pics, but I have an Iphone 4 so blown up they are not great... perfect for this book! I'm sad these are going away, but I have a couple so they will keep me busy. (And yes, stay tuned for a new little album made especially for those smaller iPhone, instagram, etc pics you have and while it's adorable, it's smaller. Get one of these albums and the really cute assortments that go along with them while you can. Other items that won't be available much longer (if they are at all) are the black flourishes, the just blooms butterflies, and the gold circles washi tape (Whaaaa????) Some of these things (and a whole bunch more) you can get at a discount on my website in the "While Supplies Last" section so be sure to check it out. So... as some of you know.... I am addicted to Pinterest. When I can't be in my craft room playing with my seemingly endless stash of supplies, I'm roaming Pinterest looking for ideas... or if forced, I will resort to housecleaning. I kept seeing pins for this Fuse tool and it seemed pretty cool... I went on to Amazon, had it in my cart, and decided I didn't need it. It's really just a little tiny welding gun for plastic. And you don't NEED it to make shaker cards... I don't need it. So I abandoned my cart. On to the housecleaning... ugh. Then a couple weeks later I noticed a fellow Pinterest junkie was pinning pins about the Fuse tool and I was about to ask her if she had one and I decided just to go buy it.. what did I have to lose. It came in last week and it sat there. 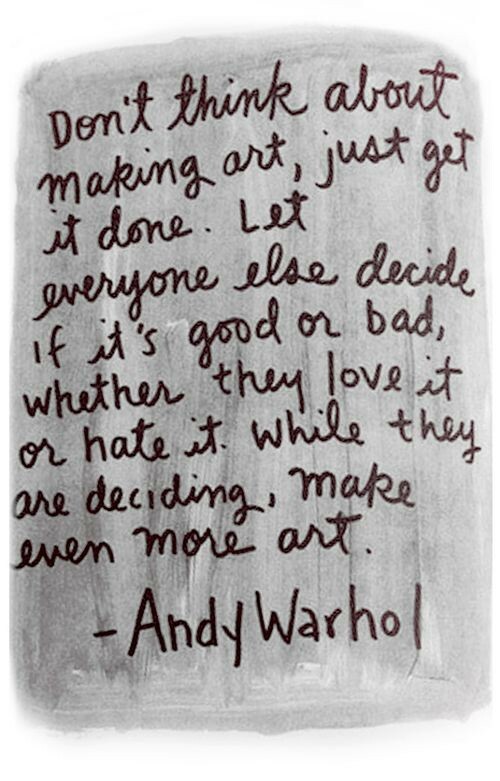 I wanted to try it out, but I wanted to spend time creating and not trying to figure out something new. Today as I worked away on a card, it was staring at me... glaring really. It seemed to be wondering, "Why did you even buy me if I'm just going to sit here in the plastic?" So... I gave in and against my better judgment opened it up and within 10 minutes I was at it. There really is nothing to learn. I used some little plastic baggies I had bought at Walmart... the little zip top kind you might buy to put items in to sell. I drew a circle on it using a sharpie and a stencil... waited 10 minutes for the tool to heat up (you must let it get hot enough or it won't seal properly). Then with the fusing tip on (there is a cutting tip also, which I'm not sure yet why I need that, but I'll let you know), I traced the circle except for about an inch or inch and a half. Then I put all kinds of little sequins, acrylic flowers (nail decorations), plastic baubles I got from who knows where, micro beads, and even some chunky glitter... then sealed it the rest of the way. I cut around the circle leaving about an 8th of an inch around the seam, taped it behind my circle opening in my card and there it was. So easy... except when I decided I wanted to emboss some gold around the circle and learned that just covering the plastic with paper was not enough protection from the heat.. melted the plastic... had to start over.. but you live and learn. Heat emboss BEFORE you add your plastic pouch. I'm excited to play more, but alas not today... I must go do some of that aforementioned housework. My husband has been patient this weekend... I've been in here a good amount of it. Time to join the living. 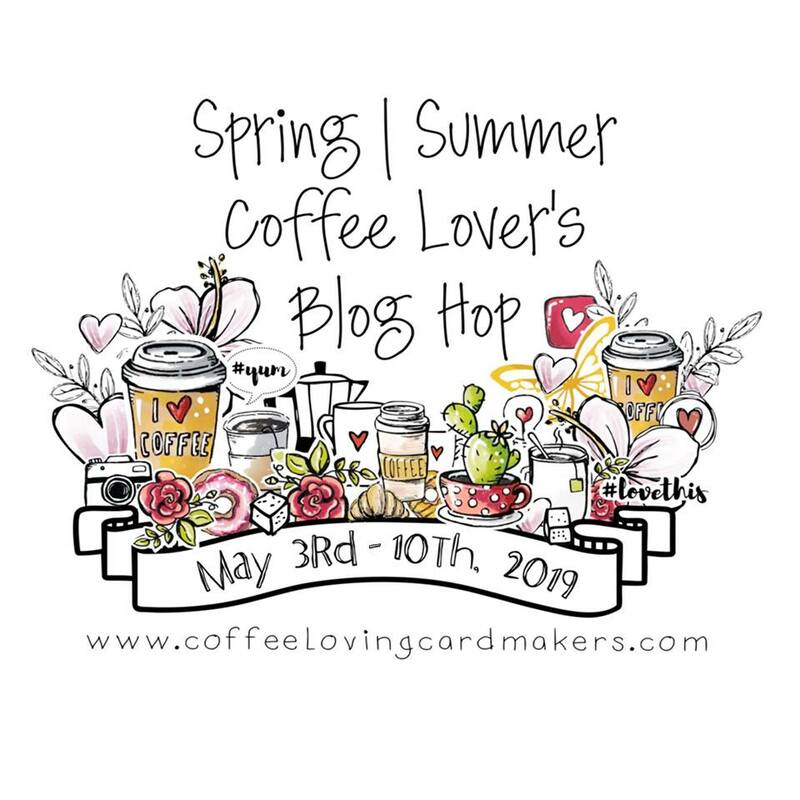 Thanks for stopping by ... don't forget to check back tomorrow for the Atlantic Hearts Sketch Challenge AND Three Amigos Blog Hop.